Police in Russa recently made a startling discovery. 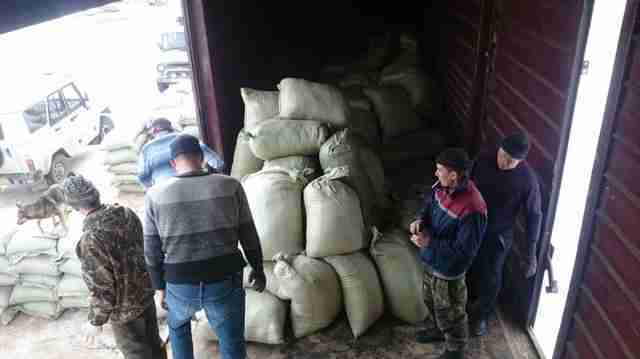 Officers were investigating a small lumber company when they found 37 unmarked bags, apparently stuffed with sawdust, sitting inside some railway cars, the country's Ministry of Internal Affairs (MIA) announced on Monday. When police opened them, they found something much worse than wood shavings. 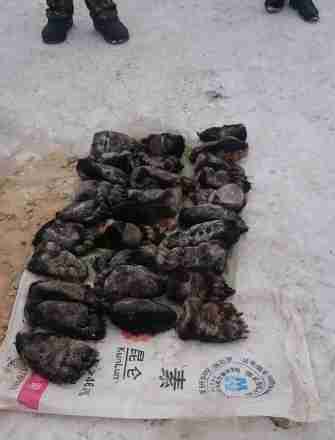 Inside was a pile of severed bear parts, intended for smuggling abroad. 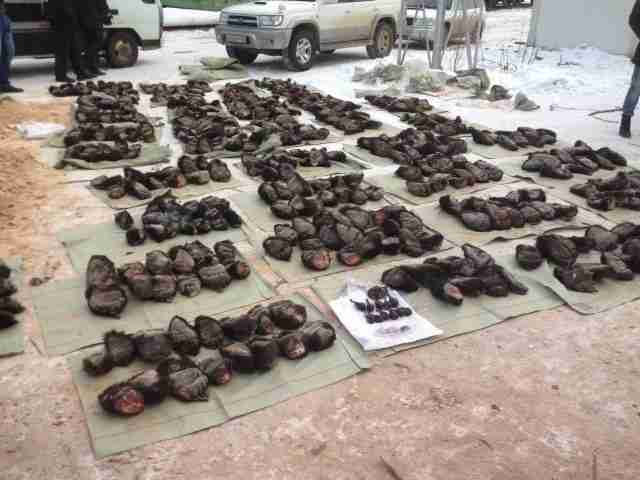 Over the course of the inspection, officers found a total of 527 bear feet, a bear muzzle, gallbladders and three musk deer glands. The body parts were likely intended for China or other parts of Asia where there's high demand for wildlife parts. Bear paws are considered a delicacy and used to make bear paw soup; gallbladders and other parts are used in traditional medicine. Bears are often victims of the illegal wildlife trade; Animals Asia estimates that more than 1,000 of them are currently captive in illegal bile farms in Vietnam alone, where they're held for years in tiny cages and constantly tapped for bile through painful wounds in their sides. And due to its proximity to China and the Asian wildlife market, Russia faces ongoing threats from unscrupulous poachers. In its statement the MIA said that the investigation was ongoing. "The police are establishing all circumstances of the affair, the damage caused to the state interests protected by law, and persons implicated in illegal poaching and smuggling of [wildlife] derivatives," the statement read. Unfortunately, we'll likely never know what happened to the bears these feet were taken from - sometimes they're killed for their feet, but other times they're just mutilated and left alive. But hopefully the photos stand of a reminder of just how bad the problem is - and how much surviving bears need our help. If you'd like to help fight the illegal wildlife trade you can make a donation to Animals Asia, which is fighting to protect bears from the cruel industry.